Here’s a good thing to do if you have a couple of leeks leftover from something – locate a potato that weighs around the the same as the leeks. Peel and slice the potato, slice the leeks. Place them all in a pan with salted water – I used just over a litre for around 250g of leeks. Bring to the boil and simmer for about 25 minutes. Add a generous slice of butter. Blend and season to taste. Serve with a dollop of cream or creme fraiche, some chopped chives, or just as it is. 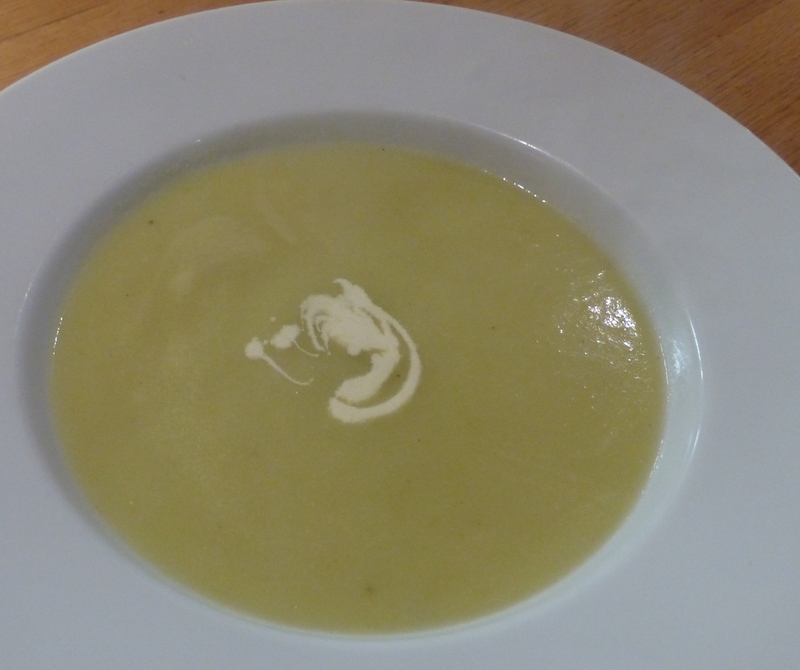 I can’t stress enough how very lovely this is – I’ve tried a few different ways of making leek and potato soup and this, which is more or less the way Richard Olney did, it is definitely my favourite. And it’s so quick and easy. Try it! Another wonderful recipe I tried out for a recent dinner with a lovely group of friends was this Gizzi Erskine baked halloumi dish with tapenade. I thought I should do two blocks of halloumi, in case the non-veggies took a fancy to it. Just as well I did, as it all disappeared at an extraordinary pace (even though there was also a side of salmon on offer – most of that went too). 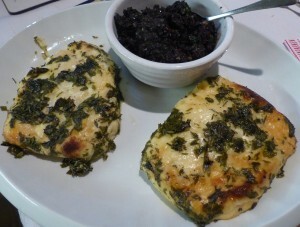 The halloumi was gorgeous, marinaded in lots of herbs and lemons and then baked in a parcel. Having not read the recipe properly, I only marinaded the cheese for a couple of hours, rather than overnight, but that didn’t seem to matter too much. Combine all ingredients in a food processor, and blitz until you have a fairly coarse paste. Season to taste. This is also great on toast or crackers. Actually it’s irresistible. I might make some today in fact. We and our guests all know each other through our beloved and much missed late friend Joss, so we raised a glass in his memory and thanked him for bringing us into each others lives. So a little sadness, but much laughter as well.